And it came to pass, when men began to multiply on the face of the earth, and daughters were born unto them, That the sons of God saw the daughters of men that they were fair; and they took them wives of all which they chose. And the LORD said, My spirit shall not always strive with man, for that he also is flesh: yet his days shall be an hundred and twenty years. There were giants in the earth in those days; and also after that, when the sons of God came in unto the daughters of men, and they bare children to them, the same became mighty men which were of old, men of renown. And God saw that the wickedness of man was great in the earth, and that every imagination of the thoughts of his heart was only evil continually. — Genesis 6:1-5. This brief passage tells a very important origin story. A group of the “sons of God”, the Biblical name for angels, in rebellion against The Lord, came to Earth and took human women as wives to have illicit relations. And their children, half-human, half-angelic hybrids, were the Nephilim giants. The idea of angels sleeping with women and having kids is not something that all Christians agree upon, know about or even comfortable with. However, the truth of Christianity is based upon one source: God’s Word as revealed in the Holy Bible. And from a study of Scripture it becomes clear that this event did indeed happen. Were the “Sons of God” Angels? This question is often raised initially as an objection to the idea that Nephilim giants ever even existed. the Hebrew words for the “sons of God” is B’nai Ha Elohim, which would means these are Heavenly beings, giving credence to them being offspring of fallen angels (the term Elohim is literally the plural of ‘god’). And then we see the children of these sons of God and daughters of men were “mighty men” and of “renown.” They were also “giants.” Something in their genetics made them super-sized people. And it was their fallen angelic parentage. The scene being described, where God is literally meeting with the sons of Go, took place in Heaven. This is a Divine Council that God holds where He chooses to meet with both good and evil angels to discuss affairs of the world (for more examples of these assemblies see 1 Kings 22 and Psalm 82). And Dinah the daughter of Leah, which she bare unto Jacob, went out to see the daughters of the land. And when Shechem the son of Hamor the Hivite, prince of the country, saw her, he took her, and lay with her, and defiled her… And the sons of Jacob came out of the field when they heard it: and the men were grieved, and they were very wroth, because he had wrought folly in Israel in lying with Jacob’s daughter: which thing ought not to be done. – Genesis 34:1-2, 7. Then they shall bring out the damsel to the door of her father’s house, and the men of her city shall stone her with stones that she die: because she hath wrought folly in Israel, to play the whore in her father’s house: so shalt thou put evil away from among you. – Deuteronomy 22:21. And it came to pass after this, that Absalom the son of David had a fair sister, whose name was Tamar; and Amnon the son of David loved her. And Amnon was so vexed, that he fell sick for his sister Tamar; for she was a virgin; and Amnon thought it hard for him to do anything to her… And when she had brought them unto him to eat, he took hold of her, and said unto her, Come lie with me, my sister. And she answered him, Nay, my brother, do not force me; for no such thing ought to be done in Israel: do not thou this folly. – 2 Samuel 13:1-2. 11-12. So here we see that certain untrustworthy angels were charged with the sin of “folly” for sinful sexual acts. In the Septuagint the verse from Job says: “he perceives perverseness in his angels” giving even more confirmation that there were sinful sexual acts committed by angels. And the angels which kept not their first estate, but left their own habitation, he hath reserved in everlasting chains under darkness unto the judgment of the great day. Even as Sodom and Gomorrha, and the cities about them in like manner, giving themselves over to fornication, and going after strange flesh, are set forth for an example, suffering the vengeance of eternal fire. Likewise also these filthy dreamers defile the flesh, despise dominion, and speak evil of dignities. –Jude 1:6-8. The offspring from this illicit union between angels and human women were giants who“became mighty men which were of old, men of renown.” (Genesis 6) The fact that they were giants, is also proof in and of itself that their parentage was superhuman. But these giants were evil. Having been born of corrupted, Satanic angels they dominated the Earth and filled it with violence. It is also interesting to note that the Bible calls them “men of renown.” The Hebrew word here, shem, refers to being famous and legendary. It is as if the Bible is indicating that when the reader hears of legends of “demigods”, titans or legendary heroes who were part god, that this is who those “myths” were referring to. These were ‘men’ of superhuman ability and strength. In addition to causing violence and sin in the world, the Nephilim were also corrupting the human bloodline. Why Would Satan Do This? This pronouncement was historic. God proclaimed that the means by which Satan would ultimately punished and destroyed would be through the seed of the woman. (It must be remembered at this point that our enemy, Satan is a far older, and vastly more powerful and evil being, so this prophecy was a serious pronouncement). A human woman would give birth to a male child who would one day destroy the Devil. This was the first prophecy of the coming Messiah, Jesus Chris. Satan was put on notice. From then on he set out to corrupt or destroy an God-fearing child as that could potentially be the prophesied Redeemer. To no surprise the first Godly child born, Abel, was killed by his wicked brother Cain. Cain was banished and Adam and Eve bore another son Seth. At his birth Eve declared: “For God, said she, hath appointed me another seed instead of Abel, whom Cain slew.” – (Genesis 4:25). As more God-fearing sons began to populate the Earth, Satan instituted his Nephilim plan into action. By corrupting the seed of the woman, Satan could prevent the birth of the Messiah, who of course, had to be human and not part fallen angel. Satan wants the Word of God to fail but he knew that in addition to the woman, God prophesied that Satan too would have a “seed” (v. 15). Thus the Nephilim were an attempt to thwart God’s plan of salvation for humanity. At every step, the Nephilim giants, via their evil angelic parentage, sought to undermine or undo what God had set out for humanity to be reconciled to Him. In their dominance of the Earth, they reproduced so rapidly, God proclaimed that all flesh on the Earth had become corrupted. They dominated the Earth with war, bloodshed and their pagan religion (which will be covered in Part 2 of this series). The Nephilim giants spread violence and sin that: “God saw that the wickedness of man was great in the earth, and that every imagination of the thoughts of his heart was only evil continually.” Humanity was on the verge of being wiped out with no hope of being saved from sin if every person born became part fallen angel. Thus God judged the Earth with the flood. Many pastors, Bible scholars and Bible skeptics alike view the flood as God’s way of dealing with humanity after humanity just sinning too much. However, with all due respect, this is a very simplistic way of looking at the flood. After all, today’s society is just as corrupt and depraved, if not far worse than any era before (more people have been killed in war in the past century than in the prior 900 years). So why would such a global judgment only happen in Noah’s day? The answer is that there were far more complex issues going on in the days of Noah then just humans sinning. The flood served 3 chief purposes: 1) To destroy the Nephilim giants. 2) To punish the angels who committed the illicit relations with women and make an example of them so that no other angels would ever attempt this again and 3) to save humanity from certain destruction. Much more than the “over-reaction by an angry God” as skeptics like to paint it, the flood was God’s way of preserving the human race and its bloodline, before it became completely corrupted by the Nephilim giants. This is an important point: many people today point to the flood as “proof” that God is cruel and angry with humanity all the time, and willing to just kill millions of people in genocide on a whim. However the Biblical truth was that God sent the flood to preserve humanity and to make sure we could still receive the promised Redeemer who could save our souls. Without Jesus Christ, there is no hope. There is no future. There is no forgiveness. Meaning every person would spend eternity in hell. The flood was God’s way to keep that hope for all people. And whosoever offereth a sacrifice of peace offerings unto the LORD to accomplish his vow, or a freewill offering in beeves or sheep, it shall be perfectto be accepted; there shall be no blemish therein. – Leviticus 22:21. Thus Noah, his three sons and their wives were able to survive the flood and re-start humanity. But unfortunately, the Nephilim giants returned. 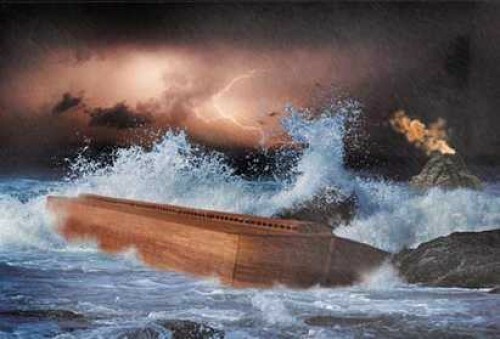 And Noah was six hundred years old when the flood of waters was upon the earth. And Noah went in, and his sons, and his wife, and his sons’ wives with him, into the ark, because of the waters of the flood. –Genesis 7:6-7. While Noah and his sons were 100% human, we are not told the same about the wives of his 3 sons, Shem, Ham and Japheth. What is clear is that one or more of these women were carrying the Nephilim gene. This is the source of the post-flood Nephilim. Nowhere in the Bible is it ever stated that angels once again cohabited with human women. And Caleb stilled the people before Moses, and said, Let us go up at once, and possess it; for we are well able to overcome it. But the men that went up with him said, We be not able to go up against the people; for they are stronger than we. 32 And they brought up an evil report of the land which they had searched unto the children of Israel, saying, The land, through which we have gone to search it, is a land that eateth up the inhabitants thereof; and all the people that we saw in it are men of a great stature. And there we saw the giants, the sons of Anak, which come of the giants: and we were in our own sight as grasshoppers, and so we were in their sight. – Numbers 13:31-33. We will discuss this extremely important passage in much more detail below but a few things should be noted. First off the giants living there were descendants of specific person named Anak. This description, where a Nephilim is referred to as “[name] who was born of the giant..” shows that the Nephilim hybrids after the flood were the offspring of other giants and not angels (this will be explained in greater detail in Part 2). And in Numbers 13, the giants the spies saw were the sons of the Nephilim giant Anak. And they were so large that the Israelites spies were like insects to them. Additionally, these giants had special agricultural knowledge that they knew how to grow grapes so large that it took two Israelite men using poles to carry a cluster! So how did the giants return and how was it that they knew to be in the exact place that God was going to send His chosen people to, namely the land of Canaan? The answer starts with the lineage after the flood. The Bible provides a specific geneology and bloodline of the Nephilim giants after the flood that can be traced back to Noah’s own sons. What seems to be consistent with the presence of the Nephilim gene was an affinity for evil, due to their fallen angelic parentage. And among Noah’s sons, Ham was by far the most wicked. “And the sons of Noah, that went forth of the ark, were Shem, and Ham, and Japheth: and Ham is the father of Canaan.” – Genesis 9:18. And Noah began to be an husbandman, and he planted a vineyard: And he drank of the wine, and was drunken; and he was uncovered within his tent. And Ham, the father of Canaan, saw the nakedness of his father, and told his two brethren without. And Shem and Japheth took a garment, and laid it upon both their shoulders, and went backward, and covered the nakedness of their father; and their faces were backward, and they saw not their father’s nakedness. And Noah awoke from his wine, and knew what his younger son had done unto him. And he said, Cursed be Canaan; a servant of servants shall he be unto his brethren. And he said, Blessed be the LORD God of Shem; and Canaan shall be his servant. — Genesis 9:20-26. Woe unto him that giveth his neighbour drink, that puttest thy bottle to him, and makest him drunken also, that thou mayest look on their nakedness! Thou art filled with shame for glory: drink thou also, and let thy foreskin be uncovered: the cup of the LORD’s right hand shall be turned unto thee, and shameful spewing shall be on thy glory. –Habukkuk 2:15-16. Shem and Japeth, righteous children of Noah, show a contrast as they seek to respect their father’s dignity by not looking upon, him and carefully covering him. Ham’s sin was so severe that it resulted in his youngest son Canaan becoming the second person in the Bible record to be cursed (the first being Cain, the wicked son of Adam and Eve). That Ham was wicked (there is no record of him ever repenting for this sin) would make it more likely that he would marry a woman from a pagan family who would be carrying the Nephilim gene. Why Would God Allow Nephilim DNA to Make It Through the Flood? (B&E: Special thanks to reader Rick for raising this question). If it were not already clear, the reason why God permitted the Nephilim gene to make it on to the ark is because ofhuman sin. We can never forget the role we play in human affairs. If humans sin, they will be judged. If they do not follow God’s ways, they invite sin and its inevitable destructive force. Ham was not a follower of God and he was judged for his sinful rebellion via his wife. As will be seen in Part 2, the Nephilim nations after the flood are at various times used by God as judgment against the Israelites for their disobedience. We are all responsible before God. Blessed is the man that endureth temptation: for when he is tried, he shall receive the crown of life, which the Lord hath promised to them that love him. Let no man say when he is tempted, I am tempted of God: for God cannot be tempted with evil, neither tempteth he any man: But every man is tempted, when he is drawn away of his own lust, and enticed.Then when lust hath conceived, it bringeth forth sin: and sin, when it is finished, bringeth forth death. – James 1:12-15. Ham was drawn by his own lusts to the pagan, sinful world. He knew the right way to live because the Bible states that Noah was a “preacher of righteousness.” Noah and his family were completely aware of the Nephilim hybridization taking place and Noah clearly made efforts to live separate from this. Despite having the most Holy man on the planet (literally) as is his father, Ham had no faith in God. This always brings in sin to a person’s life. We can never forget that when looking at any Biblical account. God could have certainly killed Ham’s wife or told Ham “she’s corrupted” but it is this author’s thinking that Ham did not care about what God had to say because Ham was not a follower of God. Ham had a choice. And he chose to reject God. “That ye put off concerning the former conversation the old man, which is corrupt according to the deceitful lusts; And be renewed in the spirit of your mind; And that ye put on the new man, which after God is created in righteousness and true holiness…Neither give place to the devil.” – Ephesians 4:22-27. We are renewed in the spirit when we have salvation in Jesus Christ. And we are not to leave any space in our lives for Satan to enter. Satan entered the space of the ark because Ham invited him. What is interesting is that Cannan of Ham’s three sons, was the one cursed. Why? Why is Ham distinguished as “the father of Canaan”? Is it possible that Canaan was already showing the appearance of being part Nephilim? This is not stated in scripture, but we will see a similar distinction made for another infamous hybrid being below. What we can know with certainty that it is from the line of Ham that we find the resurgence of the Nephilim giants. By comparing Scripture with Scripture, the lineage of the post-flood giants can be traced specifically to three of Ham’s sons, Cush, Mizraim and Canaan. The Bible is full of lineages and the Bible student should take note that they hold significance in bettering our understanding of Scripture. The first grandson of Ham who receives special designation in Genesis 10 is King Nimrod. And the sons of Ham; Cush, and Mizraim, and Phut, and Canaan. And the sons of Cush; Seba, and Havilah, and Sabtah, and Raamah, and Sabtechah: and the sons of Raamah; Sheba, and Dedan. And Cush begat Nimrod: he began to be a mighty one in the earth. He was a mighty hunter before the LORD: wherefore it is said, Even as Nimrod the mighty hunter before the LORD. And the beginning of his kingdom was Babel, and Erech, and Accad, and Calneh, in the land of Shinar. Out of that land went forth Asshur, and builded Nineveh, and the city Rehoboth, and Calah, And Resen between Nineveh and Calah: the same is a great city. – Genesis 10:6-12. Just as Canaan received a special distinction in his genealogy, Nimrod gets several extra verses! Clearly this is someone of special significance. Nimrod was the first murderer and conqueror in the post-flood world. He was the founder of the city of Babylon which became a center of pagan, satanic idolatry, much of it with various versions of Nimrod himself being worshiped as a god. His name, which means “to rebel” or “let us rebel” indicates his disposition. He was an enemy of God and at the time was Satan’s main servant on Earth. He is credited for leading the effort to build the tower of Babel, a religious temple used to access the angelic realm through pagan ritual. 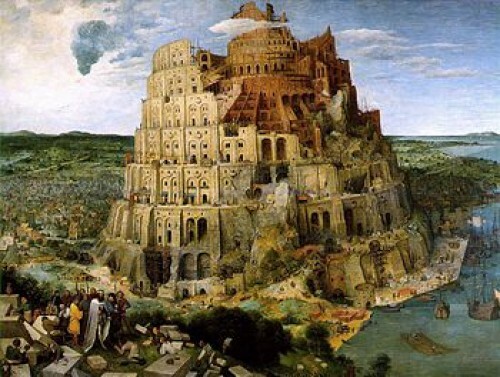 The Tower of Babel was also the first attempt at a global government, led by Nimrod and an attempt for man to reach the spiritual realm and “godhood” without The Lord (to which God swiftly responded by destroying the tower, confusing the languages of all the people of the world and scattering them all over the Earth). Was this grandson of Ham possibly a Nephilim? It is interesting to note is that the verse 9 states that Nimrod “began to be a mighty one in the earth.” The term for “mighty one”, gibborim, is the same Hebrew phrase used to describe the Nephilim giants in Chapter 6 of Genesis who were “mighty men”. It is also the same term used to describe the giant Goliath in 1 Samuel 17:51. Was Nimrod a Nephilim? In mythology, Nimrod is known by many names, among them Gilgamesh and Osiris, who were worshiped as gods. In Sumerian texts he is described as “2/3 god, 1/3 man.” The Hebrew word for “began” in the verse is chalal, which means, “to profane, desecrate or pollute oneself, begin, ritually or sexually”. So from just the text of scripture it appears that through some form of defilement and/or occult ritual, Nimrod. the grandson of Ham, was transformed into a giant. This would not be the only time a human king was transformed into a different creature. Please note that in Daniel 4, King Nebuchadnezzar of Babylon, was literally transformed into a “beast” and lived as an animal for seven years. And this was at the pronouncement of “watchers” and “holy ones” (the same type of angels that are named as being involved in the Genesis 6 illicit relations in extra-biblical texts like the Book of Enoch). (B&E: There is much more to write on Nimrod and his role in Bible scripture that will be covered in a forthcoming article. In the meantime, we strongly encourage the reader to research and explore this figure). And Mizraim begat Ludim, and Anamim, and Lehabim, and Naphtuhim, And Pathrusim, and Casluhim, (out of whom came Philistim,) and Caphtorim. – Genesis 10:13-14. Ham’s son Mizaraim also contributed to the Nephilim lineage. In verse 14 we have the first mention of the Phillistines (whose forefather was Phillistim), the nation of the giant Goliath. Calshuhim was the father of Phillistim and his family later resided in Capthor in the Promised Land. So we see the direct origins of the Philistines, one of the most heated enemies of the Israelites, who also carried the Nephilim gene. In fact, as will be shown, the Philistine nation was the final “hideout” for the remnant of the Nephilim giants. And they can be traced back to Casluhim, the son of Mizraim and grandson of the evil Ham. And Mizraim begat Ludim, And Canaan begat Sidon his first born, and Heth, And the Jebusite, and the Amorite, and the Girgasite, — Genesis 10:14-16. When the LORD thy God shall bring thee into the land whither thou goest to possess it, and hath cast out many nations before thee, the Hittites, and the Girgashites, and the Amorites, and the Canaanites, and the Perizzites, and the Hivites, and the Jebusites, seven nations greater and mightier than thou; And when the LORD thy God shall deliver them before thee; thou shalt smite them, and utterly destroy them; thou shalt make no covenant with them, nor shew mercy unto them: Neither shalt thou make marriages with them; thy daughter thou shalt not give unto his son, nor his daughter shalt thou take unto thy son. — Deuteronomy 7:1-3. Notice that God describes these nations as “greater and mightier than thou” to the Israelites. The physical and military advantage was clearly on the side of the enemies of God – the nations that were home to the Nephilim giants. But what gave the Israelites the ultimate edge was that The Lord Himself was going to supernaturally intervene early on in the conflict to deliver the enemies of Israel so they could be defeated. This point is not discussed enough: God fought against and defeated the early post-flood Nephilim. This shows the severity of the matter. The Lord was no longer allowing these superhuman, powerful hybrids to dominate humanity. Thus He not only says to wipe out these nations, but makes a specific point of prohibiting any marriage between them. 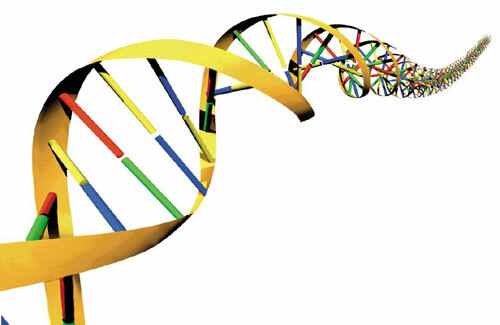 God was bringing the spread of the Nephilim genes to an end. Lord willing, at this point it is clear that giants did indeed exist in the Bible and in large number. Satan, who has constantly sought to stop God’s plans and destroy the souls of humanity, used a select group of angels to interbreed with human women and try to corrupt human DNA. By altering humanity from being no longer fully human, Satan could ensure that a pure human Messiah would never be born. To counter Satan’s offensive, God sent the global flood judgment to punish those angels who committed folly, destroy the Nephilim and save the existence of the human race. The flood ensured the Messianic bloodline was preserved so that we could have a chance to go to Heaven. It was as an act of love of mercy on God’s part to save a people that had rejected him to follow Satan’s minions and their God-given powers. The bloodline of the Nephilim after the flood can be clearly traced to Ham, Noah’s evil son who brought a curse upon his own child, Canaan. But this is just the beginning. 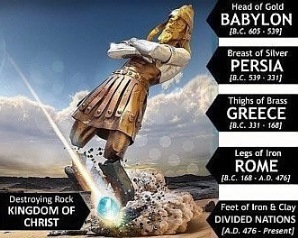 In Part 2,“Nephilim Giants – Enemies of God in the Bible” we will continue to examine the post-flood Nephilim lineage from the perspective of the righteous men of God who fought against them throughout the Old Testament in the continuing chess match between God and Satan and the Sons of God against the seed of the Serpent. 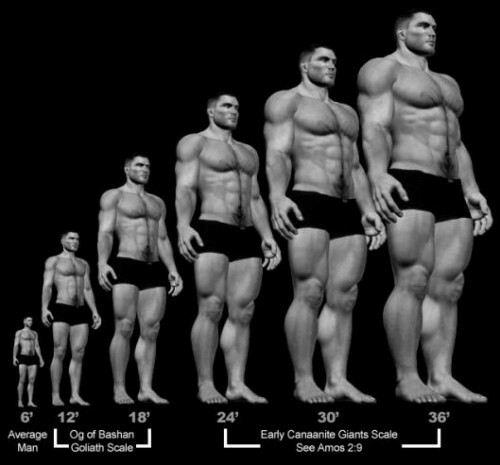 The article will also look that as the number of Nephilim giants on the Earth decreased, they soon became smaller in size. And we will reveal a modern occult mystery so secret even Wikipedia states it do not have the answer for it! These and other revelations will be detailed, all of this from the pages of Holy Scripture. If you take into consideration all the signs, there is no mistaking that our generation is living in the last days, nearing the second coming of Jesus. Problem is, Satan can see how close we are to the end of the world, which is why he brings certain people into the spotlight (like Harold Camping of recent times), proclaiming false dates for the second coming, which when those dates come and go, causes many people to turn away completely from the truth. The truth being that WE ARE living in the end times. The Bible is very clear on that. We just can’t set specific dates for Jesus’ return. But we CAN know when the end is near … Matthew 24:33 …’So likewise ye, when ye shall see all these things, know that it is near, even at the doors.’ … And we are certainly now seeing “ALL these things”. Before you read on, please note this important point. In Matthew 24, Jesus speaks of wars, earthquakes and such things, but says these are just the “beginning of sorrows” and “the end is not yet”. Now that word “sorrows” in the original language meant “birth pangs”, the pain in childbirth. Now birth pangs speak of frequency and intensity. And as a woman gets nearer the birth, the “pangs” become more frequent and intense. This is true also for the signs of the end times. These signs began not long after Jesus’ day, and as Jesus quoted, the end would not yet be, because this was just the beginning of sorrows. But throughout history we have seen the “pangs” (signs) become more frequent and intense, culminating in the day we live in now where the pangs are so frequent and intense that we must be right at the time of “delivery”, when Jesus is to return. So don’t let anyone fool you into believing that the signs today are just the beginning of sorrows and the end is not yet. “The beginning of sorrows” started nearly 2000 years ago with the persecution of the early church and the destruction of Jerusalem. We are living at the end of time. By the way, if you are not convinced that the Bible is any sort of authority, then study this prophecy of Daniel 2. It perfectly foretold the future kingdoms of this world up until the end of time. And history confirms it as ACCURATE. As you can see from the picture, the different parts of the man represented the different “ages” and ruling kingdoms of this world. And what is the last “age”? It’s the feet of the image. And when did the last age start? It started in the year 476 AD. when Rome fell and split into the ten kingdoms of Europe. Which means this world has been in the “last age” for over 1500 YEARS! So add that to the amazing signs of the last days that you will see throughout this site, and you are left with no doubt that we are living right at the end of the toes on the image and right at the end of time, soon to see the second coming of Christ Jesus. I Just love this sign, because it is clearly pointing to our day today, and it CANNOT be refuted by anyone. Throughout history we have had a slow and little increase in knowledge. But take a look at the EXPLOSION of knowledge over the past 150 years! Up until recently in history, the fastest form of transport was a horse. Now man can travel at hundreds and even thousands of miles per hour with travel to the moon! Technology has developed at a rapid pace, which has led to great improvements in computer power, scientific discoveries and the medical profession. Just look at how much we have learned about the human body with things like DNA and Cellular Structures etc. And how about “running to and fro”? This is pointing specifically to our day with planes, trains, automobiles and the busyness of modern day life. We are definately running to and fro and have knowledge like no time before us. This Bible sign doesn’t end there though, because it has a dual application. “running to and fro and knowledge increase” also applies to knowledge of Biblical truths (see Amos 8:12). During the “dark ages”, for over 1000 years, knowledge of Biblical truths were surpressed by the Roman Catholic Church. But since the protestant reformation and breakaway from Rome, God’s people have been running to and fro in His Word FREELY and knowledge about great Bible truths have been revealed. God now has an end time remnant church with the FULL gospel truth to take to the world before the end comes, which was needed to fulfill the sign about taking the true gospel message to the whole world. Which you will read about further down the page. Now this is a sign that most people miss! Have a think about it … What needs to happen in order for the “beast system” to stop people from buying and selling if they refuse the mark? We need to have a worldwide financial system whereby everything bought and sold is through electronic means, not cash. Has there been any time in history where this could happen? No. Are WE living in a day where this could happen? Most certainly, yes! And the powers of this world are now trying to make cash obsolete, and are actively pushing pure electronic forms of payment, like “PayPal” and “Google Wallet” for instance. Take a look at the news and you will see this being reported in different countries of the world. Cash is Dead, are Credit Cards Next? Above is just a few examples of the major push throughout the world for a cashless society. We have the techonology to do this now, which in times past wasn’t possible. And look at the financial turmoil around the world today. This will help in bringing in a “unified” currency to help make it possible to enforce the mark of the beast. Technology isn’t the mark, but technology is needed for proper enforcement of it. This is a SURE sign of the end times! Paul here is saying that “THAT DAY”, the second coming of Christ, will not come until the falling away happens and that man of sin is revealed. 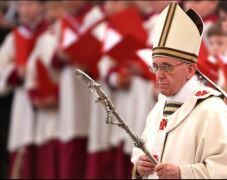 This falling away is the apostasy that took place with the Roman Catholic Church, merging Christianity with Paganism, and that man of sin who was “revealed” to the world during the Protestant reformation is none other than “the” pope(s) of the Roman Catholic Church. So, the falling away has happened and the man of sin HAS been revealed. Therefore the second coming of Christ can happen and this shows we are living in the end times. What was it like in Noah’s day and Lot’s day? We need to go to two other Bible verses to see what it was like. 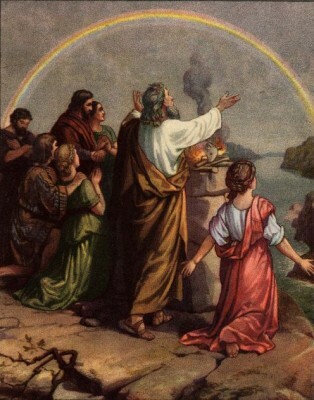 Genesis 6:13 tells us that in Noah’s day the “earth was filled with violence.” And in Jude 1:7 it says that in Lot’s day, Sodom and Gomorrha had given itself over to “fornication and strange flesh”. So violence prevailed in Noah’s day and sexual immorality (including homosexuality) prevailed in Lot’s day. And this would be a sign of the end times before Christ Jesus returns. So our question is, does violence and sexual immorality (including homosexuality) prevail in the world today? Very much so, yes! Not only does violence and fornication rage across the whole world, homosexuality has become a “norm”. Since 2001, at least 14 countries have fully legalized homosexual marriage, Argentina, Belgium, Canada, Denmark, Iceland, Netherlands, Norway, Portugal, Spain, South Africa, Sweden, New Zealand, Uraguay, France, with some parts of Mexico and America doing the same. And there are more countries being added to this list all the time. Today, the world is FULL of violence and sexual immorality. You only need turn the tv on and you will see violence, fornication and homosexuality everywhere. The cities of the world today are especially bad and are no longer safe places to be. What are we told in Jude 1:7? We are told that what God did to Sodom was set forth as an example to us today. And what did God do to the people of Sodom? He DESTROYED them with fire because of their wickedness, which included homosexuality! How about a rise in spiritualism and the occult in the world? Have we seen this? Well, just look at the television and movies today. “Twilight”, “Harry Potter”, “Lord of the Rings”, and a whole host of other television series and movies containing the occult and spiritualism. It has invaded our lives like no other time before us. And what is the cause of this? It is the false teaching of the immortality of the ‘soul’. Spiritualism is also the cause of these ‘near death experiences‘ which Satan is deceiving more and more people with. Many people don’t realize that spiritualism has also invaded the majority of churches around the world, due to this false teaching of the immortality of the soul. Yet the Bible clearly teaches that “the dead know NOTHING” (Ecclesiastes 9:5), and that when we die we return to the dust of the ground from where we came (Genesis 3:19). But the churches have embraced this false teaching of the immortal soul, which is another sign of the times we live in. See the truth HERE about what happens when we die. This one has become a fairly recent phenomenon. 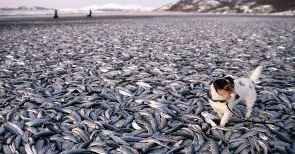 During the last few years we have seen fish, birds and other animals die in huge numbers. Since 2010, millions of fish have been turning up dead in lakes, rivers and the sea, with this deadly red tide partly to blame. Also, Birds have been dropping out of the sky in huge numbers. And we are seeing other unusual animal deaths all around the world. Including Bees and Bats dying in their millions. The book of Hosea not only applied to the nation of Israel. It also applies to our day and contains prophecies concerning the state of the world we live in today. So is this text from Hosea fulfilled in our day? Is it a sign of the end times? Yes! So what about this Biblical sign? Is this being fulfilled in our day more than any other day before us? Most definately. Just look at all the natural disasters we are getting now every year. 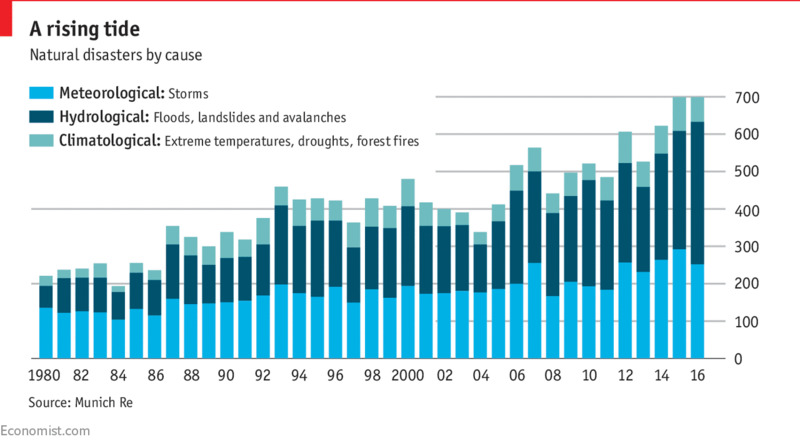 (CLICK ON THE IMAGE FOR A CHART SHOWING A TWOFOLD INCREASE OVER THE PAST 30 YEARS) Are the “seas and waves roaring”? Yes. Tens and even hundreds of thousands of people are being wiped out from Tsunamis and floods, and men’s hearts are certainly fearing what is happening to this world. 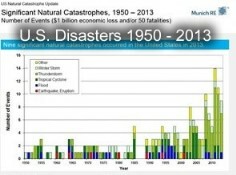 In America in 2010, a record was set for the number of Federal Disaster Declarations given over a year. That number was 81. 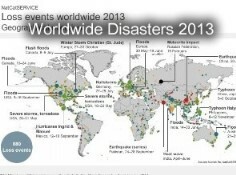 In 2011, that number was broken again, with 99 Disaster Declarations given, costing over 32 Billion Dollars. And 2012 produced another year of record breaking disasters. Dr. Robert Hartwig states … “The number of U.S. disaster declarations has been trendingsharply upward, particularly over the past 15 years.” (Source) … We are really seeing things happening in this world now with regards to the fulfillment of Bible prophecy today. Click on the following charts. See these Amazing Maps of Natural Disasters. The scoffers love to bash this one, but from the evidence available, it is clear that earthquakes are not only increasing in frequency, but also appearing in more and more “diverse places”, which the Bible predicted. Remember, these signs are to intensify during the last days, and that is exactly what is happening with earthquakes. Take a look at the following information and judge for yourself. Big earthquakes have doubled in 2014 compared to each year since 1979 (source). God is giving us plenty of warning through these events, and we will be without excuse if that day of Christ’s return comes upon us like a thief in the night and catches us unaware. We need to heed the signs and get ready! Please see these amazing videos showing a graphical look into the earthquakes around the world between 2011 – 2013. 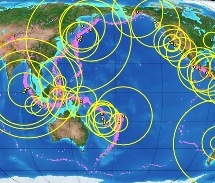 Christ said that there would be earthquakes in “diverse” places, and these amazing videos certainly fulfills that prophecy. This sign carries on from the “increase in knowledge” sign above. But I wanted to separate it to show you that this sign alone reveals we are living in the last days. God tells Daniel to seal the book. In other words, to seal the prophecies contained within it. And that at the “time of the end”, the prophecies would be unsealed and we would know what they mean. God has now revealed the truth about the prophecies of Daniel to His end time church and we now know the meaning of these prophecies, showing that we are in the “time of the end”. The prophecies of Daniel 2 and 7 (SEE HERE) have been UNSEALED. Daniel’s 70 week prophecy has beenUNSEALED. And the 2300 day prophecy (SEE HERE) has also been UNSEALED. So this alone confirms that we are living in the end times. But taking all the other signs together will show us how close we are to the second coming of Christ Jesus, the Son of the living God, and the end of the world. Please see our END TIME PROPHECY website for many more Bible prophecy truths. We’ve certainly had our fair share of false Christ’s appearing around the world. Also, today we have many false religions proclaiming many ways to eternal life, like Roman Catholicism, Islam, Hinduism, Buddhism, Sikhism, Folk Religions, Wicca, and many other ‘new age’ movements. With false prophets like the Pope, Muhammad, Krishna, Buddha, etc., leading these religions. We also have many false prophets and leaders in “Christian” churches, like the the prosperity gospel preachers and people like Oprah Winfrey leading these new age movements. And millions of people have been sucked in and deceived by these ‘false prophets’. There are also many ‘sheep in wolves clothing’ in the world today. People like Rick Warren who preach just enough truth to lull the unlearned mind into following them into apostasy! Yes, this sign has certainly been fulfilled. Please prayerfully seek the truth yourself, by studying the Word of God in the Bible. Is this sign being fulfilled in our day? Yes. There is an ecumenical movement today which we were told about in end times prophecy that is uniting the world in an effort to bring peace. Churches and faiths and political leaders are uniting like never before in an effort to bring peace to this world. But this ecumenical movement is not of God, because we as God’s people are not to unite with the world or any false religion (Amos 3:3, 2 Corinthians 6:17, Revelation 18:4). When they do declare “peace and safety” then destruction will come upon them (1 Thessalonians 5:3). Many people say that this isn’t a sign of the end times, because there have been wars since the beginning. Yes there have been wars since the beginning, but when you look at the frequency and intensity of wars, then it’s plain to see that this is a sign of the times we are living in. During the 20th century alone, more people have been killed as a result of war than all previous centuries combined. This has resulted in HUNDREDS OF MILLIONS of people being killed in wars like World War I, World War II, Russian Civil War, Congo War, Korean War, Vietnam War, Iraq, etc. Today, there are currently around 40 conflicts and wars raging all around the world (Source). And in 2011, armed conflicts greatly increased according to this report. So is war a sign for today? Of course is it. But remember, we are not to take any of these signs ON THEIR OWN. Jesus said … “when ye shall see allthese things, know that it is near”. (Matthew 24:33). Taking one sign like this on it’s own will not prove we are living in the last days. All signs need to be fulfilled. Just look at the famine that has struck the world over the past 30 years. Thousands die everyday of starvation and according to this news article global starvation is spreading and increasing causing 1 Billion people to go hungry around the world. Add to that the failed crops throughout the world because of extreme weather, and bees dying off in massive numbers, and we have a worldwide shortage of food on it’s way. Not only that, we have the likes of Monsanto who are poisoning the crops that are left! 2.4 BILLION people survive on less than 2 dollars per day! The sad thing about this sign, is that the amount of food that is wasted in the developed world could feed the hungry! So think about those in need next time you are about to fill up your shopping trolley with food that will be wasted. The Bible teaches us that we need to be helping the poor and needy, by giving them of our bread and clothing. Rather than throwing away what we don’t want or need. Christians were being killed for their faith in the first century, as well as during the dark ages when the Roman Catholic Church ruled the world and killed tens of millions of God’s people. This is being repeated today in places like Iraq, Iran, China, North Korea, Pakistan, India, Nigeria, Egypt, where many Christians are being killed for their faith in Christ Jesus everyday. And once the mark of the beast is enforced soon, then this persecution will spread to the Western World. Idolatry, Adultery, Violence, Lust, Greed, Disrespect, Homosexuality, Theft, Lying, Aggression, Selfishness. Is this Biblical sign fulfilled in our day? Absolutely! Just go back 50 years and you would not see half the sin and wickedness that we see in people today. Look at what is portrayed on our TV screens and in the movies and video games! Violence, lust and all manner of evil. This is one of the major end of time signs. Our world today is aching under the burden of sin and I’m sure God will not allow it to continue for much longer. And do you know the worst thing about “sin” today? It is made into “ENTERTAINMENT”! Through movies, television programs, radio, magazines, comics, you name it! The majority of people in this world today are happily entertained by the very thing that put the Son of God on the cross! And please note, I am not just talking about the sins of non Christians. A sure sign that we are living in the end times is the fact that the Christian churches are full of unconverted, sin loving people! Many of them thinking they don’t need to keep the ten commandments, and can continue living in sin, as long as they “believe” in Jesus and go to church once a week. Yes, iniquity has abounded! This sign of the times has certainly been fulfilled in our generation. A great majority of professing Christians these days do not study the Bible much. Instead they just rely on their pastor’s word as the truth. Let me give you an example. Back during the Protestant reformation, where many people died standing up for the truth of God’s Word. God revealed a great truth to the world about who the antichrist was. All of the reformers knew the truth about the Roman Catholic Church being the Bible antichrist. But as time has gone on and false teachers have crept into the churches, the majority of Protestants now reject this great truth that God opened up to the early Protestant leaders, and they now EMBRACE that antichrist church and have become a part of Babylon! The above end time sign from Timothy also says that they would be turned unto fables. Let me give you a few fables that the majority of Christians have been turned to. 1. The rapture. 2. Looking to Israel for fulfillment of end times prophecy. 3. Mark of the beast being a microchip. 4. The Battle of Armageddon being a physical battle. And there are many more. Please see our prophecy site for the truth on these topics. Great and precious truths were opened to the people of the Protestant reformation, but the reformation failed because the people did not continue seeking the truth. Although God does have a remnant church with the full gospel truth, we now live in a day where the majority have turned away from the truth and been turned to fables. This sign of the end times has certainly been fulfilled in our generation. Are the nations angry today? Yes, we have uprisings, conflicts and wars ALL OVER the earth. And what about man destroying the earth? Well, all throughout history, the most dangerous weapon that man had was a bow and arrow. Man could not do much damage to the earth. But now just look at what man can do and IS doing to the earth through industry, destructive weapons of war, chemicals, oil exploration, depletion of the forests and so on. Just look at the massive oil spills that have happened during the past 30 years around the world. Just recently, it was revealed that Russia had dumped enormous amounts of radioactive material into the ocean, including 17,000 containers of radioactive waste, 19 ships containing radioactive waste, 14 nuclear reactors, including five that still contain spent nuclear fuel; 735 other pieces of radioactively contaminated heavy machinery, and the K-27 nuclear submarine with its two reactors loaded with nuclear fuel (Link). The rivers and seas are becoming completely polluted, and man is certainly destroying the earth like no other time in history, and God’s wrath is about to fall upon them! We have been living in the time of judgment since 1844 and once the judgment has ended, THEN Christ Jesus will return to “reward” the saints and “destroy those who destroy the earth”. Notice Jesus said “THIS” gospel? There are many “gospels” being preached out there, but it is the TRUE GOSPEL that is to be preached to the world before the end can come. So is this being fulfilled today as one of the end time signs? Yes, because God’s people are preaching the true gospel throughout the world like never before, through the internet, tv and satellite, radio, in the pulpit, and through print. We have never had the resources available before to reach the world the way we can now. This ministry alone receives thousands of visits everyday from people from all over the world seeking the truth. So yes, this Bible sign is BEING fulfilled now. And what do we have now for “rapid transit” of the gospel message around the world? The internet and satellite! We are living in a time like no other and the gospel message is soon to reach the final corners of the earth, and THEN the final stages of this earth’s history will take place. But what about all the different languages you may say? Well, ministries like Faith Comes by Hearing provides a free audio app that shares the Bible in over 570 languages! And that number is growing all the time. So yes, the languages of the world are being reached with the Word of God. For more end time signs and even more evidence that we are living in the last days, please see End of World Signs. I hope that you can see from the above Biblical signs of the end times that our generation is truly living in the last days, nearing the second coming of Christ Jesus. We are living in a time like no other. The world is being turned upside down and we need to get ready! If you are not a Christian and you realize that we are living in the end times and are wondering what you need to do, then please click here to see what you must do to be saved. Give your heart to Christ Jesus. He is about to return to bring judgment upon the whole world. 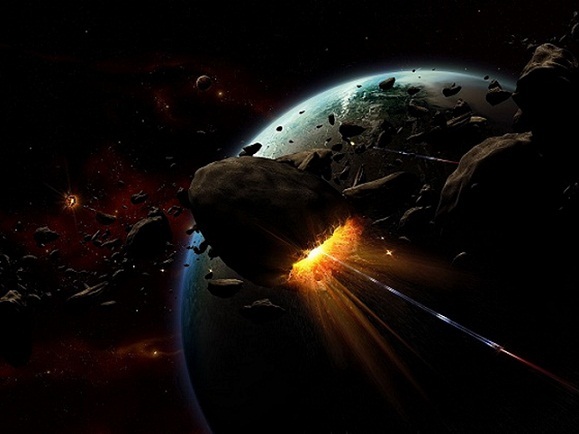 Meteor/Fireball Superstorms Hit the Earth – Dramatic Increase Within 2014 WTH is Going On? Meteor/Fireball Superstorms Hit the Earth Dramatic Increase Within 2014 WTH is Going On? It is raining down fireballs like never before, with their rate apparently increasing exponentially. The AMS does subsequent checks to verify events with the All-Sky Fireball Camera Network set up by NASA’s Meteoroid Environment Office (MEO) and other observation networks. Their stats are remarkable, the numbers just keep going up and up, and at an ever increasing rate! keeping and media coverage of this phenomenon is shocking, especially given how extraordinary the phenomenon is and whatever it may portend for civilization, sometime in the future, if not immediately. Using the AMS data, which begins in 2005, sott.net creating the following tables to give readers a visual for what’s going on. The real numbers are probably much higher because the above only represents what has been reported and seen in the US alone. So it is not stretching to suggest that the real numbers for the US, as well as for the planet as a whole, are far more impressive than what you can see in those charts. But it doesn’t stop there, the whole solar system seems to be undergoing a change, with the weakest solar cycle in 100 years, new bodies being discovered beyond Neptune and, bizarrely, the tally of Jupiter’s moons going up and down, apparently randomly. Could at least some, if not all, of the major events that have happened around the world in recent years be connected to this increase in fireballs? social chaos, big earthquakes and tsunamis… all on a scale never seen in the ‘modern’ era. This small selection of fireball events in 2014 reveal a clear message, and you don’t have to be a rocket scientist to figure it out: the ‘sky gods’ are angry!